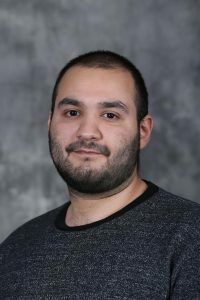 Iowa State University transportation graduate student Georges Bou-Saab is spending two months this summer in a United States Environmental Protection Agency research internship. He will conduct emissions modeling research, specifically data analysis and software development, for the EPA’s Office of Transportation and Air Quality at the National Vehicle and Fuel Emissions Laboratory in Ann Arbor, Michigan. Bou-Saab is a transportation engineering student at ISU’s Institute for Transportation (InTrans) who is working toward a Ph.D. degree in civil engineering from the Department of Civil, Construction, and Environmental Engineering. He is the past president of the Transportation Student Association at ISU. Bou-Saab is one of two graduate students chosen for the EPA internship program, which is administered by the Oak Ridge Institute for Science and Education through an agreement between the U.S. Department of Energy and the EPA.